The ability to convert light energy into usable chemical energy (photosynthesis) makes life possible. 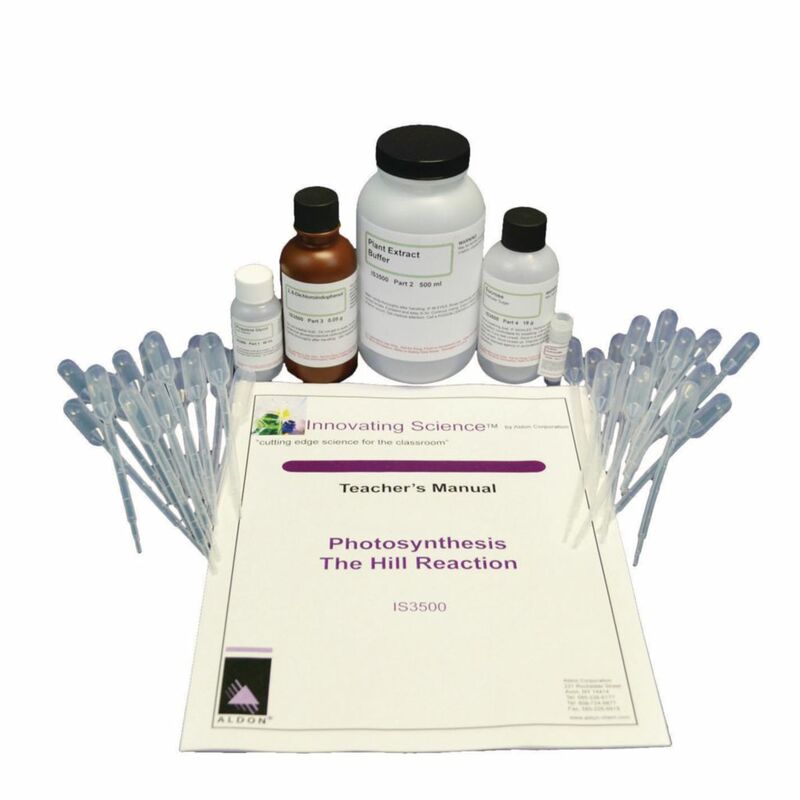 The process of photosynthesis can be broken down into two parts known as light and dark cycles. The activities in this kit focus on understanding the function of the light cycle, by running experiments based on the Hill reaction. The instructions are written for both visual analysis and/or UV-Vis analysis. The kit contains material for six groups.